This vegan coconut lemongrass soup is creamy, a bit spicy mixed with the sweetness of coconut. It’s filling enough to be eaten as a meal by itself, especially when served with steamed white rice and it’s easy to prepare. Thai food is a regular cuisine in our house and it almost always involves some kind of curry. Another favorite is this Massaman curry with sweet potatoes with Homemade Thai coconut ice-cream for dessert. 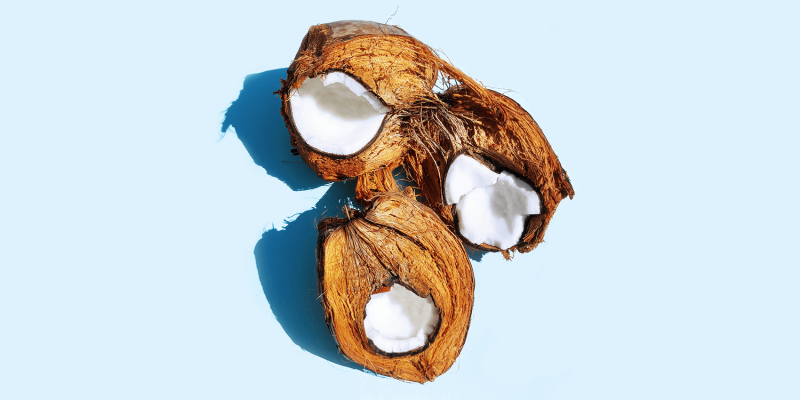 Most of my recipes with coconut milk or cream are sweet dishes, but they are truly versatile ingredients. 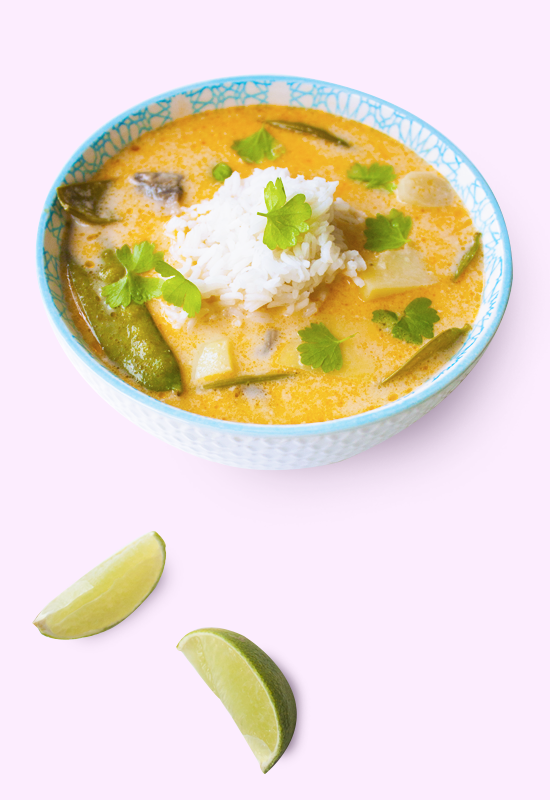 Curry based dishes such as this coconut lemongrass soup are the perfect example of how well coconut milk combines with savory and spicy flavors. Cut the shallots and fry them lightly in coconut oil. Add 2 cloves of chopped garlic and fry with the onion while stirring. Slice the ginger and galangal (or use galangal powder) and add them to the mix. Cut the lemongrass in diagonal pieces and add them while stirring. Add the red curry paste and mix it well until the paste is fully dissolved. Add the coconut cream and milk. Cut the potato in squares and add them as well. 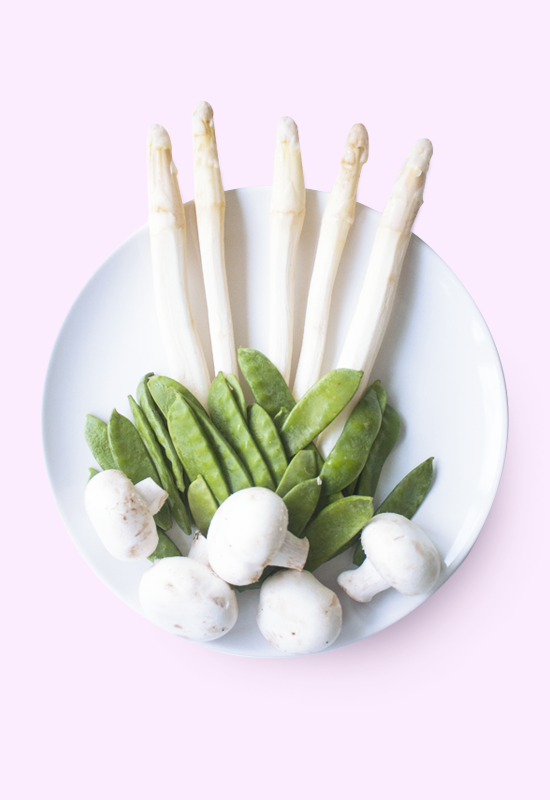 Slice the mushrooms, cut the asparagus and add them with the sugar snaps. Cook on a low fire for about 20 minutes or until the potatoes are soft. If there isn’t enough liquid, add more coconut milk with water or vegetable stock. Add fresh lime juice and salt according to taste in the end before serving the soup. I use 1.75 cup water for 1 cup of rice. Here I used 3.5 cups water for 2 cups of rice. Rinse the rice well, add to a pot with cold water with a dash of sea salt and bring to a boil. Once it boils, reduce to low temperature. If your pot isn’t air tight seal with a small towel between the lid and the pan to keep the steam inside. Cook the rice for about 20 minutes. Let the rice sit with the lid still on the pot for an additional 5 minutes. Remove the lid and air fork the rice, by turning the rice a little bit around. Serving tip: this vegan coconut lemongrass soup goes great with rice and fresh coriander.